The so called Germany's "dumbest bank" has done it again. 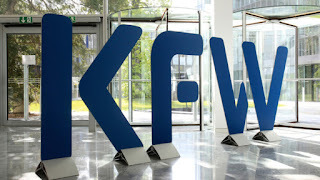 State-owned development bank kfW accidentally transferred $5.4 billion (5 billion euros) to four other banks. As Bloomberg reports "a technical glitch that repeated single payments multiple times, according to people familiar with the matter". Date : 3/25/2017 11:36:00 π.μ.